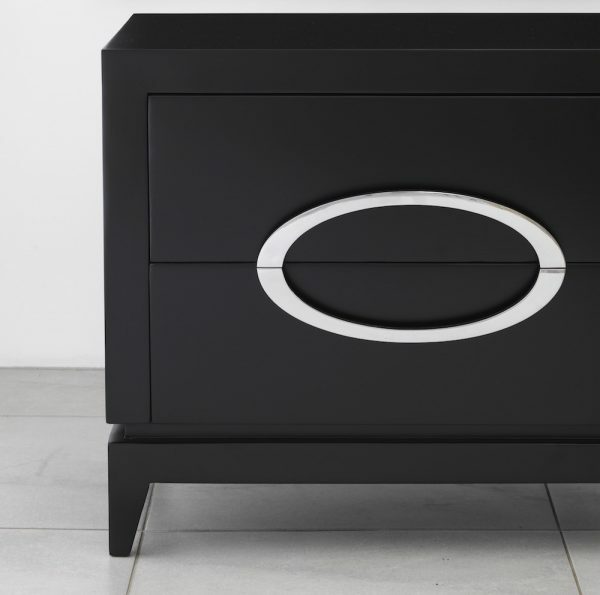 The signature design feature of the Stirling bedside table is the silver coloured oval handle that has been made to enjoy the handle as a beautiful eye catcher. 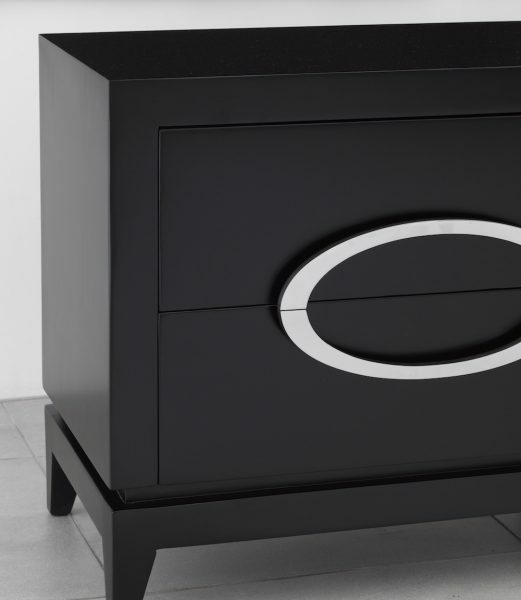 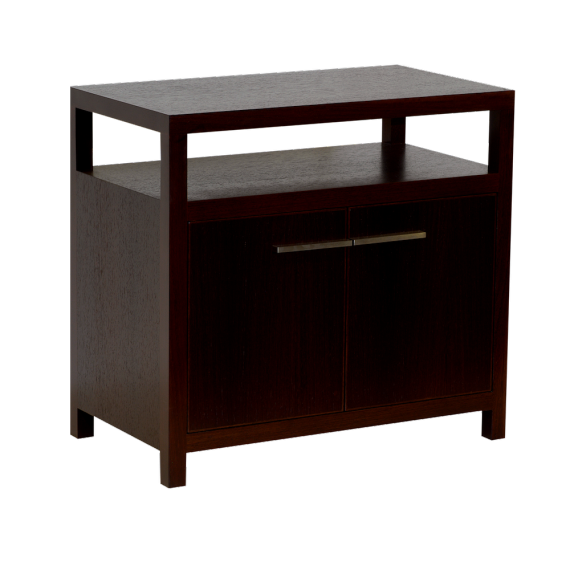 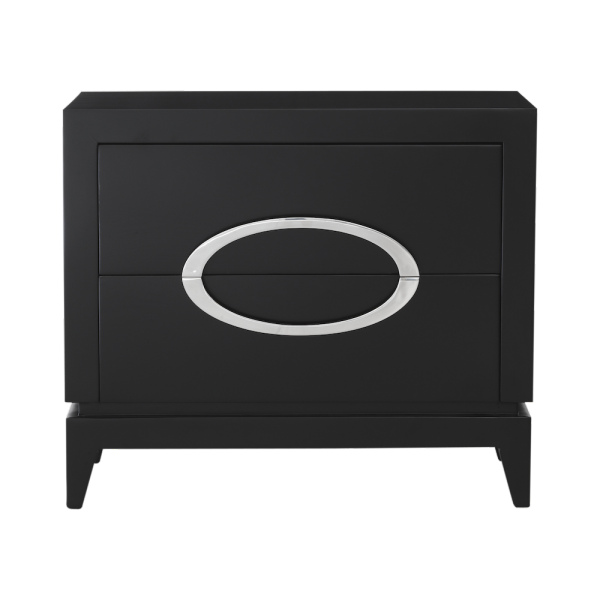 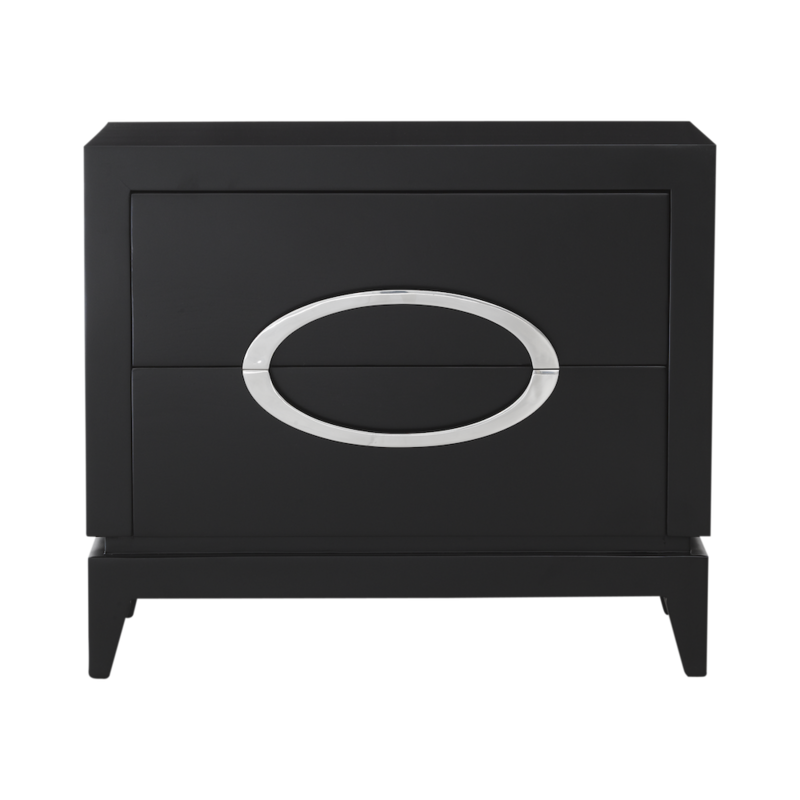 The beautiful feature gives an elegant look, yet practically designed where half of the oval is the handle for the top drawer and half of the handle for the bottom drawer. 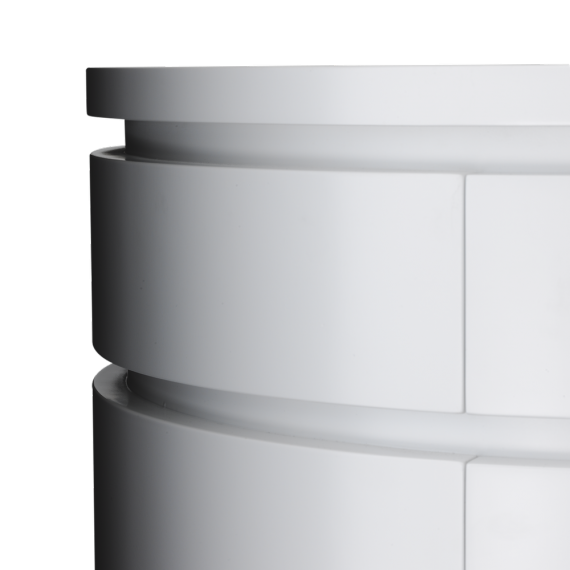 The drawers are deep and long making it a slightly more generous size of a bedside. 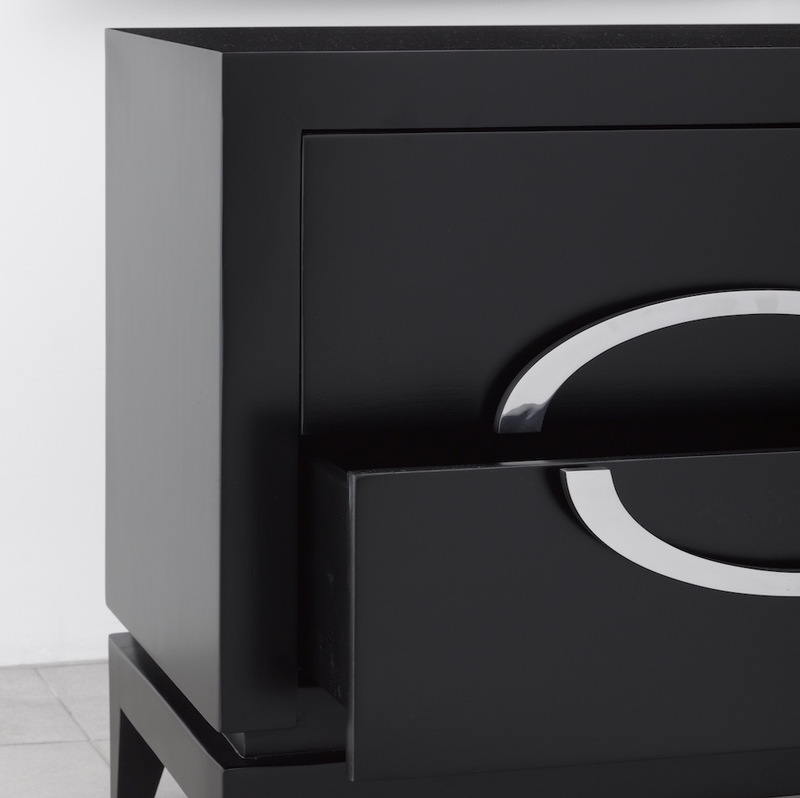 Custom made options available with different subtops including stone, a grey bevelled mirror or glass that allow this desginer furniture piece to reflect in a different way and style with practicality. 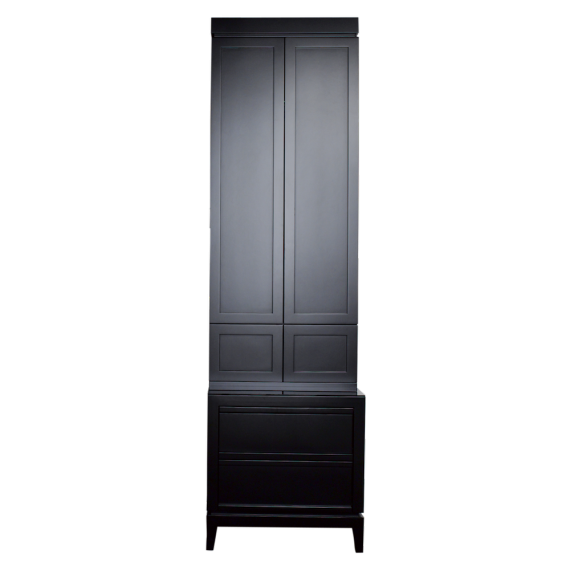 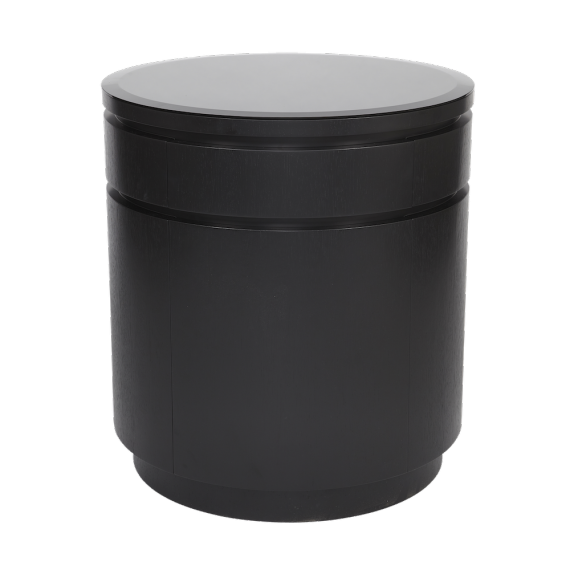 Other colour spray finishes are also available to create your unique home and style.